The Iguazu Falls are located on the border of Brazil and Argentina, 275 waterfalls ranging in height from 60-80m along 2.7 km of the Iguazu River combining to make one of the the largest waterfalls in the world. When we visited it had been one of the driest periods in recent history and we had concerns that the falls might not be as impressive as we hoped. Even with the water running low the falls are incredible and I can’t see how you could be disappointed. The Devil’s Throat (Garganta del Diablo in Spanish or Garganta do Diabo in Portuguese), a U-shaped, 82-meter-high, 150-meter-wide and 700-meter-long cataract and marks the border between Argentina and Brazil. 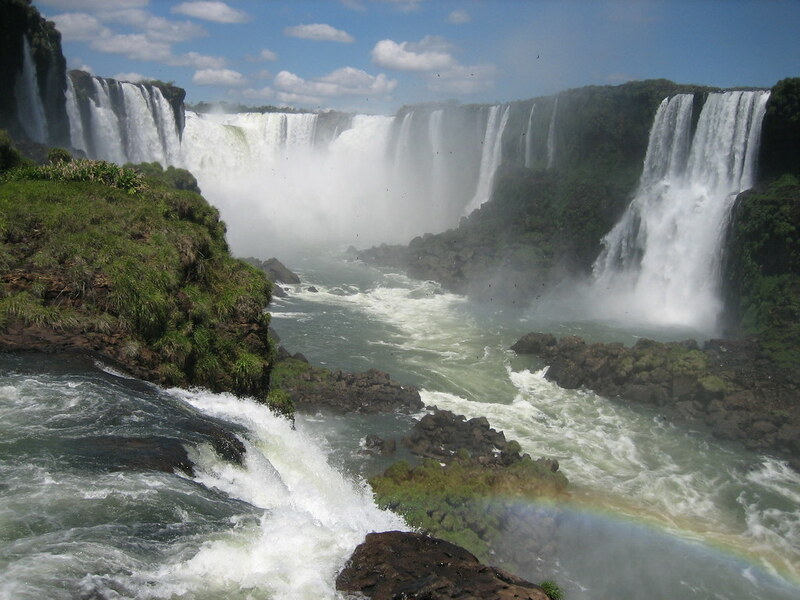 It can be viewed from below on the Brazillian side and up closer above the cataract on the Argentinian side. If you have time, visit both sides, each gives a different perspective of the falls. On the Brazilian side you can walk along the canyon on a walk way that extends out to the lower base of the Devil’s Throat. On the Argentine side you have to get a Rainforest Ecological Train, which drops visits at different walkways where different trails can be taken, one of which brings you directly over the falls of the Devil’s Throat where birds can be seen swooping death defining close to the the incredible volume of water that crash together. If you only have time for one side I’d recommend the Argentinian side of the Brazilian, 2 thirds of the falls are on the Argentinian side and it has the best trails and views of the falls. You can see the iguazu falls from both the Brazilian and Argentinian sides the two main towns on either side of the falls are Foz do Iguaçu in the Brazil and Puerto Iguazú in Argentina, Puerto Iguazú being the nicer of the two towns. A trip to the Braziliian side is well worth combing with a with a visit to the excellent Bird Park. Entry into the Parque Nacional Iguazu was R$20 in Brazil and A$30 in Argentina. These are just stunning breathtaking photos.. very dramatic I can almost feel the strength of the falls. an amazing post! I have just one question though I have been trying to place my flickr photo sets on my site the only thing I came up with was the badge linking back.. what did you use for displaying this album this way on you site. Its awesome photos, i had never seen this type of beautiful nature photos, they are the embark showing the beauty spreading fragrance for the Brazilian. 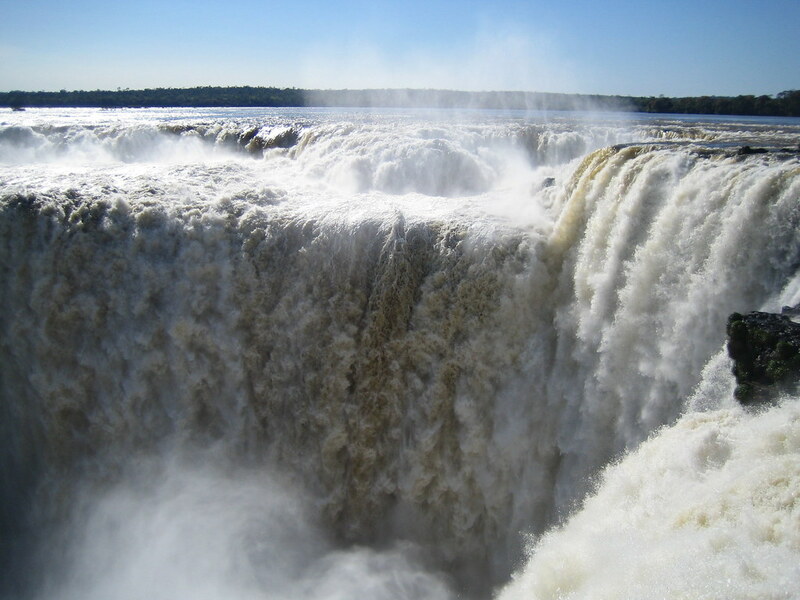 Iguazu Falls are simply the finest waterfalls in the world captured well with your images. 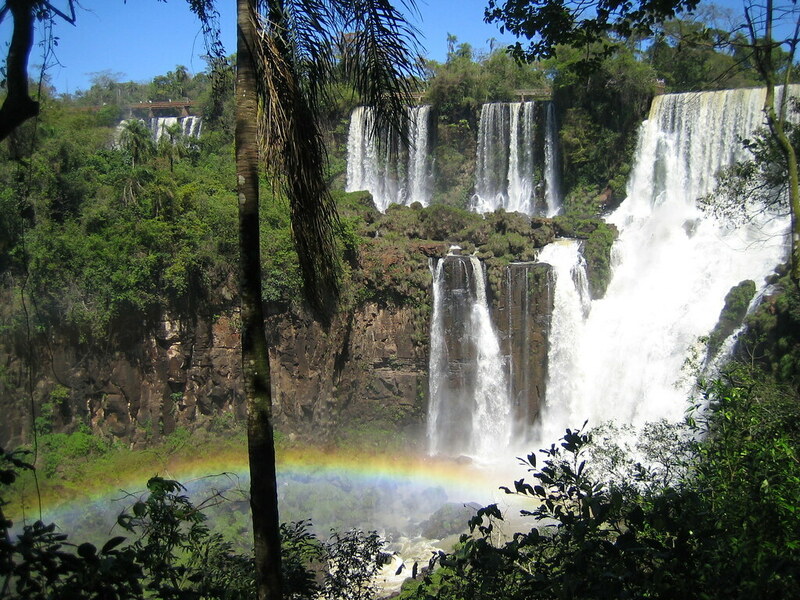 i’m studying abroad in Chile this semester, and i would love to spend some time in argentina–possibly go to the iguazu falls. i looked at some possible flight destinations/bus trips to the falls, but i would love to hear your suggestions for how to get there if you have any/if you have time! 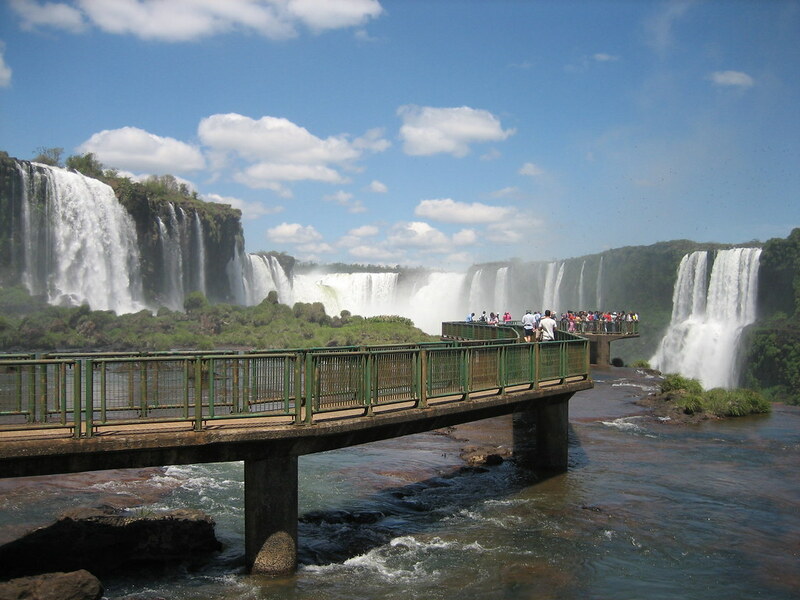 I did a Google search for Iguazu Falls Argentina and looked through many of the photos. None were as striking to me as your first photo here. It is simply exquisite! I am a fellow adventure traveler, explorer, and a lover of nature, landscapes, and wildlife. This is my very first visit to your blog. I haven’t looked around much so I have no idea where you fall on what I am going to say. This may sound crazy, but I specifically wanted to find a photo which looked like a ‘picture’ I had in my mind. I was in a time of deep prayer and I felt as though God invited me to ‘ask me anything’ and I asked for a “glimpse into heaven”. And THIS is what I saw…. that first photo!!! I am being completely honest! I am ready to cry – happy heart-felt tears. I have only told 1 or 2 people about this. I sensed that YOU would like to know this. Thanks for sharing your journey!